Coming from a business and communications background, Adam Al Jabry started off his career as a media and events coordinator with a leading local events management company. He then used his expertise in applying strategy and communications solutions to move into the marketing, advertising and public relations sector. 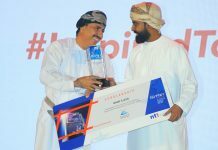 Adam spent several years widening his horizons and honing skillset in marketing, communications and public relations by working at the market-leading agency for public relations in Oman. During this time, he had the privilege to work with a vast variety of clients in sectors such as oil and gas, banking, tourism, telecommunications and public sector entities. 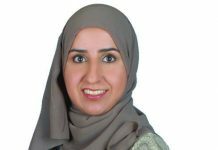 This led to his assuming his current role in the strategic development of the marketing and corporate communications department at Alizz Islamic Bank. “I pride myself in being a highly efficient, innovative and methodical marketing manager with extensive experience of increasing sales and brand awareness by reviewing, developing, and defining their overall marketing strategy,” says Adam. He possess a proven track record of the ability to ensure that brand messages, standards and communications are understood and implemented effectively. Another role model of Adam is former Liverpool FC captain Steven Gerrard whom he describes as ‘arguably the most influential captain the club has ever seen’ and as a person ‘who always led by example’. “Once in a generation a player comes along to whom nothing seems impossible and Stevie G was the epitome of that. The way he carried himself both on and off the pitch was second to none and even in matches when all hope seemed lost he always managed to carry the team by the scruff of their necks and achieve the unachievable. He was a true leader with exemplary visionary leadership,” he adds. He believes that making mistakes is inevitable and therefore one has to learn from the mistakes instead of letting them bring one down. According to him, one of the best things about life is that we never have to stop learning. There are always new skills to learn and techniques to adopt. “You should always have belief in your team. You are all working towards the same goal so remember that you’ll never walk alone,” he exhorts the youngsters.